Wanda Blacksmith Peacock, an enrolled member of the Lower Brule Sioux Tribe, uses her expert eye for color and design to create precious collectible angels. 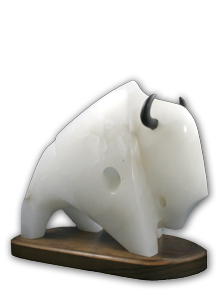 They serve as a reminder of the good heart of the Lakota people. Wanda's art is available through the through the Akta Lakota Museum online gallery.